At Koru Ceremony we strive to honor new beginnings through ceremony. We delight in assisting couples as they celebrate one of life’s greatest moments. Your ceremony is the heart of your wedding day. We believe your ceremony should be a reflection of who you are and your unique relationship. Together, we will create a joyful, personalized ceremony that is warm and inviting. As non-denominational ministers serving Madison, Milwaukee, and South Central and Southeast Wisconsin, we have officiated ceremonies in a number of beautiful locations: from churches to barns, back yards to the State Capitol. It would be our honor and privilege to officiate your marriage ceremony. Contact Rev. Pat at 608.213.7558 or koruceremony@gmail.com or fill out the ﻿contact form﻿ to check for our availability. KORU (kor-roo) is the Maori word for “loop.” For the indigenous people of New Zealand, the koru spiral represents a fern frond as it begins to unfurl, symbolizing new beginnings and hope for the future. It embodies a new phase of life, positive change and personal growth, working together in harmony and being mindful of the good things in life. 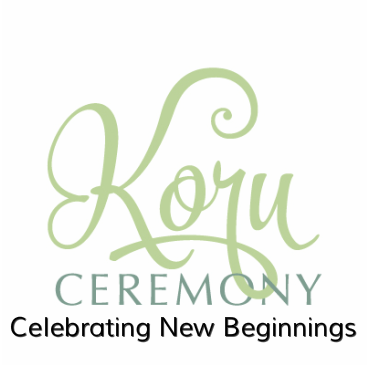 At Koru Ceremony we strive to personify these ideals that honors new beginnings through ceremony.